While Galacia can be called one of the greenest and most beautiful regions of Spain, it is not the most popular region with visitors – because it also has the honour of being called one of Spain's wettest regions (which does explain why the region has greener forests than the sun-scorched parts of Spain that always seem to be slightly brownish all the time). 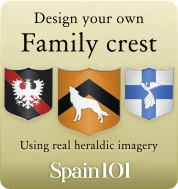 If you manage to visit during the drier months of the year though, you will be able to see the kind of Spain many typical tourists do not get to see. You will usually only run into local and national holiday makers. Galacia is special not only because it is green, and one always seems to be able to either smell the sea, pine or eucalyptus, but because it is a region of Spain in which the culture is still very Spanish and untainted by the influence of tourism. Galacia is different from the rest of Spain, it is quite independent, has a different climate and a cultural life that can in parts be very different from the rest of Spain. 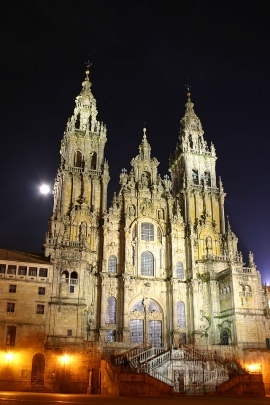 Santiago de Compostela will most likely be any visitors first stop, as it is the major arrival point for international visitors. Exploring the city is definitely worth your time because Santiago did not become big and popular without a reason. There is a gigantic medieval district, and you can easily explore the different sights like monuments and buildings on foot. While many of the buildings mainly hold an importance for Spanish history, there are also some building of international value. 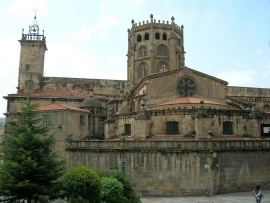 The city of Santiago is one of the places in Galicia in which you will find many visitors. After all, it also has received the world heritage status. Santiago has around 100,000 inhabitants (if you count the greater area, too), so it is still quite small compared to other European centres. One of the main sights in Santiago is the Cathedral. And every year a few thousand Christians use this cathedral as the end point for the pilgrimage “Way of St. James”. It is the third most important point for Christians – so you can imagine that the cathedral also gets its fair share of tourists. It would be a mistake to only focus on the Cathedral, as there are plenty of breathtaking buildings in different architectural styles to be seen. 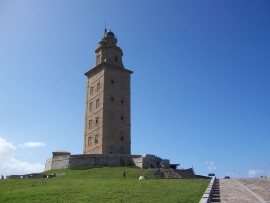 One of the most famous sights in La Coruna is the Tower of Hercules lighthouse from the second century. 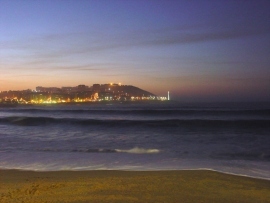 While La Coruna is not quiet as busy with tourists as Santiago, it still has quite a lot to offer. 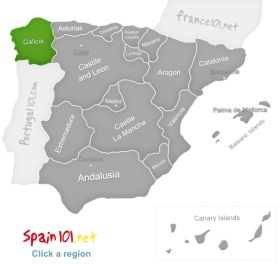 Note that A Coruna (not la Coruna) is used to describe the greater province within Galacia, and the province also includes Santiago. 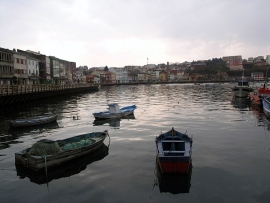 La Coruna is often also called the “glass city” because it has a harbour buildings that have glass fronts, and as ships often see those first, the arrival in la Coruna is often called the arrival in the “glass city”. A very inviting name, isn't it? Cape Finisterre, which was believed to be the end of the known world during ancient times, is a favourite with visitors. There are also tours that take you along the coast, and they will all teach you a lot about the ancient beliefs surrounding the lovely stretch of coast. There are some spectacular beaches – and they won't make you think of death at all. There are also some odd things you can find along the way, like a memorial that depicts the walking boot of a pilgrim. Many regions in Spain have particular landmarks that you can find all over the place. When you are in Galacia and keep your eyes open, then you will sooner or later come across some Horreos and Cruceiros. The Horreos are long and narrow grain stores. They were usually used to store sweet corn in them, but they could basically be used to hold and ripen all sorts of grains. 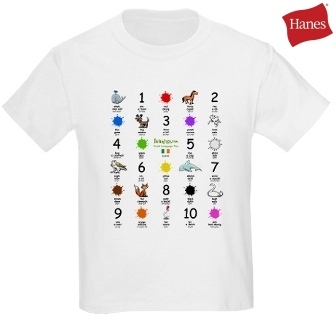 They can be one meter or ten metres long, and can be up to two storeys high. The longest one is twenty metres long. These grain stores are often unofficially called the one symbol for Galicia. The Cruceiros are stone crosses and are rather small compared to the grain stores. You will usually find these stone crosses on central places in towns and villages, sometimes also at random places. It is not 100% sure about how and why these stone crosses came into being, but it is assumed that they are used to mark certain religious areas/districts.